An exhibition of 100 black-and-white photographs at the Beaverbrook Art Gallery tells the story of the breakneck speed of China’s transformation over the last 60 years. “You get to see it right from the oxcart to the car,” Gary Wood, executive director of the Confucius Institute of New Brunswick, which promotes Chinese language and culture and is one of the show’s sponsors, says. 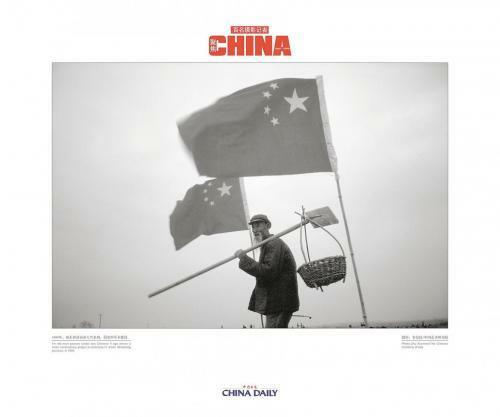 China’s Renowned Photographers Focus on China is taken from the book by the same name featuring 362 images by 248 photographers. The China Daily, the country’s largest English newspaper, launched it in Beijing in June. The exhibition has six stops, including Victoria, Waterloo, Ont., Toronto, New York and Washington, D.C.
Fredericton, New Brunswick, March 24, 2010 — Company’s coming, but you don’t know who. You’re out for dinner, but you don’t know where. What is clear is that the Beaverbrook Art Gallery benefits from this classic Fredericton fund-raiser, and participants get to enjoy an interesting evening together. Now in its 6th year, Guess Who’s Coming to Dinner has some of the city’s finest cooks preparing special meals on April 24, and opening their homes to people who have bought the event tickets. The Gallery sorts out who will eat where, balancing things like food and pet allergies to create interesting groupings of dinner guests. Investors Group is the presenting sponsor of the event, helping raise funds for the Gallery’s programs. The evening begins with a champagne reception and hors d’oeuvres at the Gallery, where hosts and guests mingle and enjoy music, all the while wondering who among the gathering will be their dinner companions. This piece of art could be yours! Tickets are available for $10 per ticket or three for $20. To purchase, visit the Beaverbrook Art Gallery or call 458-2028 or toll free 1-877-458-8545. The draw will take place on April 24th, 2010. 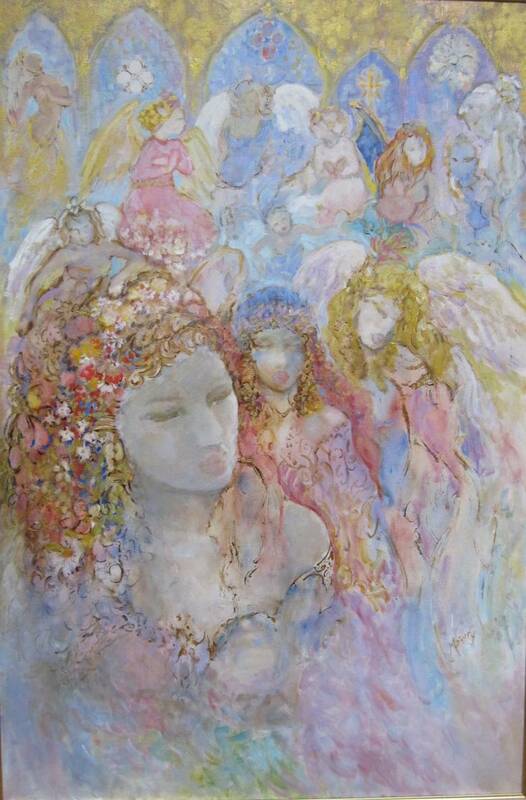 One lucky winner will be the proud owner of a Michael Khoury painting in April. The New Brunswick artist has donated his painting called Spiritual Fantasy I to the Beaverbrook Art Gallery to be raffled off during the upcoming Guess Who’s Coming to Dinner fundraiser reception April 24. The painting is on display at the gallery, and tickets are available for $10 per ticket or three for $20. 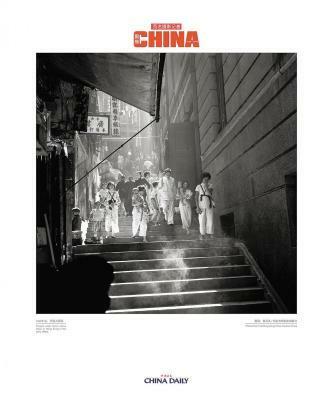 An exhibition of 100 black and white photographs which showcase modern, everyday life in the People’s Republic of China and the changes it has undergone since 1949. The photos, many of which have never before been on exhibition, depict all of China’s provinces. The Beaverbrook Art Gallery is only one of four Canadian locations hosting this exhibition. It also travels to Toronto, Waterloo and Victoria as well as New York and Washington D.C.
China’s Renowned Photographers Focus on China is sponsored by the China Daily and AKD International Inc. and co-sponsored by the NB Department of Education and the Confucius Institute of New Brunswick. Thursday Night ART sessions for adults. Fredericton artist Marcus Kingston will instruct the Gallery’s popular Thursday Night ART sessions for adults. The classes are held from 7 PM to 9 PM each Thursday evening. The Beaverbrook Art Gallery is hosting the ultimate surprise dinner party. April 24 marks the gallery’s sixth annual Guess Who’s Coming to Dinner fundraiser. The evening will begin at the gallery around 5:30 p.m. with a champagne reception featuring hors d’oeuvres, live music, an auction and a raffle for a Michael Khoury painting. At the end of the reception, ticket holders will be given the name of their host, and will go to that person’s home for a dinner party. The guest and host matches remain a secret to everyone until the last minute; the host doesn’t know who’s coming and the guests don’t know where they’re going. 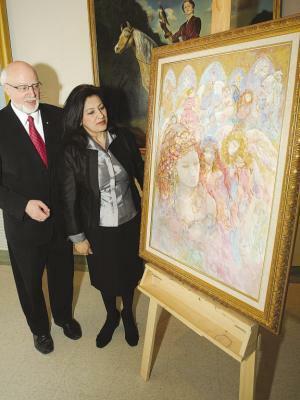 Bernard Riordon, CEO of the Beaverbrook Art Gallery and co-chair of the Guess Who’s Coming to Dinner fundraiser, said the event is a great chance for the gallery to reach out to the community.